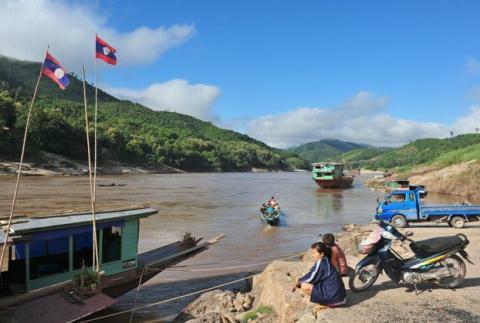 VietNamNet Bridge - Experts have pointed out that field research results about the Pak Beng hydropower project in Laos are sketchy and do not provide sufficient information. Nguyen Anh Duc, director of the Mekong River Development Assistance Center under the Mekong River Commission of Vietnam, said if the hydropower plant is built on the basis of such inadequate information, it would cause unforeseen consequences to the lower course, especially Vietnam’s Mekong Delta. “There is insufficient data about sediment, while the figures lack uniformity and cannot reflect the actual sediment load in reality,” he said. If the hydropower plant is built on the basis of such inadequate information, it would cause unforeseen consequences to the lower course, especially Vietnam’s Mekong Delta. “There is also no information about the operation schedules, the influences between Pak Beng and existing hydropower plants and the plants under the construction on Mekong basin,” he said. Many other important factors are also not found in the documents released by the investor. The investor has not provided information about the possible cross-border impacts on the countries on the lower course of Mekong. Also according to Duc, the designers of the project prioritize electricity generation, with little regard for environmental protection. Pak Beng will retail most of the bottom sediment. The discharge of silt and sediment aims to protect construction work, while it will lead to the sharp reduction of sediment in the lower course. Meanwhile, Tuoi Tre quoted an expert as saying that Pak Beng hydropower project is built based on Chinese standards. Meanwhile, it is necessary to pursue international standards when designing the plant, with reference to regional data, existing monitoring systems and predictions by the Mekong River Commission (MRC). Regarding the possible impacts on aquatic creatures, according to the Ministry of Agriculture and Rural Development (MARD), the investor admitted Pak Beng will have big impact on fish migration. This has a great impact on migratory fish, but the design of the fish paths of the hydroelectric dams is not conducive to the movement of fish. Preliminary estimates show that the cumulative impacts to be caused by Pak Beng along with the hydropower terraces on the Mekong mainstream may reduce the amount of nutrients for Vietnam’s Mekong Delta by 6-10 percent. Pak Beng hydropower plant is expected to be built on Mekong mainstream in Oudomxay in the northern part of Laos. The development of hydropower plants on Mekong mainstream and branches have worried not only regional countries, but the world as well. Dr Liliana Corredor, an Australian scientist, in late March sent an open letter to MRC, calling on the commission to take action to prevent Laos and Cambodia to build more hydropower dams on Mekong.